Torrey Craig’s path to his first start in the National Basketball Association is nearly unbelievable. The only reason it is not considered pure tomfoolery is that the story is so outrageous that it just has to be true. To fully explain how inconceivable Craig’s path to the NBA has been, the story has to start all the way back at the beginning. Craig’s basketball career started at Great Falls High School in South Carolina where he earned Player of the Year honors in his senior season before heading off to the University of South Carolina Upstate, where he went on to be a four-year starter. Craig proceeded to score over 2,000 points in his collegiate career and then promptly took his talents over the pond to Australia to play for the Cairns Taipans of the NBL. Craig spent two years with the Cairns Taipans from 2014-2016 where he played off the bench, but it was not until he decided to join the Wellington Saints of the New Zealand NBL league in March of 2015 that he began to emerge as a legitimate prospect. In that season — with the Saints of Wellington — Craig averaged 20.4 points, 9.1 rebounds, 1.8 assists, 1.0 steals and 1.2 blocks per game over 17 games played and came away with Most Valuable Player honors in the New Zealand NBL. He then proceeded to carry the Saints back to the Grand Final the next year in 2016 where he helped Wellington secure their ninth NBL title. Craig followed up his impressive stint with the Wellington Saints by signing with the Brisbane Bullets in 2016 — who had re-entered the Australian NBL after an eight-year leave of absence — and earned the title of the NBL Best Defensive Player in the process. Just to top off his international resume, Craig decided to continue his travels of Australia and signed with the Gold Coast Rollers of the Queensland Basketball League in 2017 where he ended up playing 10 games and averaged an obnoxious video-game-like stat line of 28.2 points, 9.9 rebounds, 4.0 assists, 1.5 steals, and 1.0 blocks per game. Those numbers finally caught the eye of the Denver Nuggets, who ended up inviting Craig out to Las Vegas to play for their Summer League team, but things were not as easy as just sending out an invite. Craig was not entirely sure he wanted to take the leap to the NBA and potentially miss out on what was becoming a solid career overseas. Not only did Craig showcase what he could do, but he ended up being one of the biggest surprises of the 2017 Summer League in Las Vegas. While Craig may not be a household name to many at this point in his career, the Nuggets were already figuring out that they had stumbled upon an incredibly talented and hard-working individual. The Nuggets’ Summer League head coach — Micah Nori — could tell right away what kind of player he had on his hands. Once Summer League had concluded, Craig was offered a two-way contract to stick with the Nuggets while also spending time in the G-League to hone his skills. 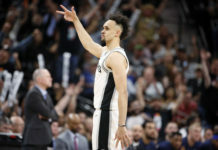 “I knew that if I got an opportunity, I knew what was going to happen,” Craig said confidently in Boulder, Colorado during the Nuggets’ training camp. Craig — with his two-way contract signed — proceeded to set the G-League on fire for the Sioux Falls SkyForce. He is currently averaging 25.2 points — third-best in the G-League — to go with 8.2 rebounds, 3.5 assists, 1.1 steals, and two blocks in 37 minutes a game while shooting 49 percent from the field and 37 percent from three-point distance for the SkyForce in 10 games played. 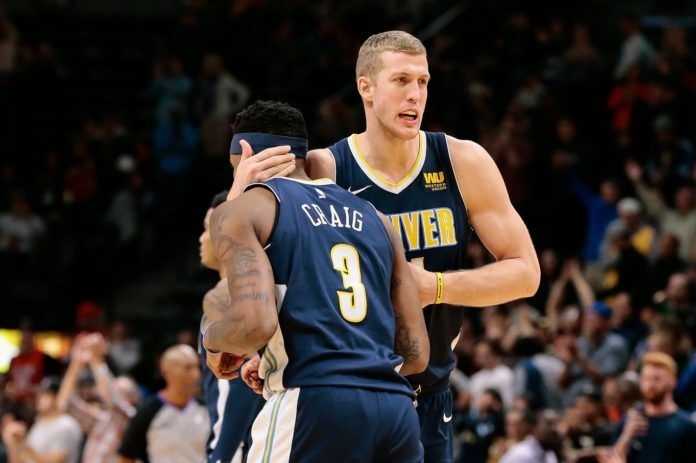 Now, six months after signing his two-way deal, Craig received a phone call late Thursday night saying that Denver needed him in a Nuggets’ uniform the next day to take on the Pelicans. So — at some time around midnight — Craig called an uber to take him from Oshkosh, Wisconsin to an airport over 90 miles away. That was just the start of a surreal 24-hour whirlwind for Craig. 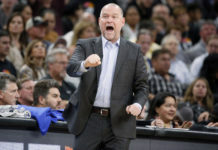 What Malone fails to mention is that Craig arrived in Denver with little to no sleep, no idea of what the scouting report looks like for the Pelicans, and without knowing that he was approaching his first ever NBA start that would have him matched up with Jrue Holiday late in the contest with the game on the line on an island alone. That last play of regulation, you ask? Just look below. Craig — who had only seen six minutes of playing time at the NBA level before starting against the Pelicans — got into a defensive stance and stuck with Holiday every step of the way until he eventually blocked his shot right before time expired. What is even more ludicrous is that Malone didn’t have to think twice about putting Craig on Holiday. Think about that: Craig went from the middle of nowhere in Wisconsin with the Sioux Falls SkyForce G-League team — after playing for nearly four years overseas in Australia and New Zealand — directly to the Nuggets’ locker room after a two-hour uber ride to the airport and a 5:15 am flight. Craig than immediately went through shootaround, managed to sneak in a two-hour nap, and then started for the Nuggets at small forward against New Orleans, which allowed him the opportunity to block Holiday’s jumper to help Denver secure a huge win over the Pelicans. What an incredible 24 hours for Craig. 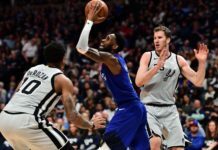 It is becoming very well known that Craig is far too talented for the G-League and that he can make a big positive impact for an NBA team — not just a G-League team. It was because of Craig that the Nuggets were given an opportunity to secure a win in overtime against the Pelicans. Now, the question Malone will have to find an answer for is how to get Craig more playing time. He has earned it.